Announcing our Annual Dinner Keynote Speaker: – Michigan’s Mighty 14th District Democrats! That’s right! 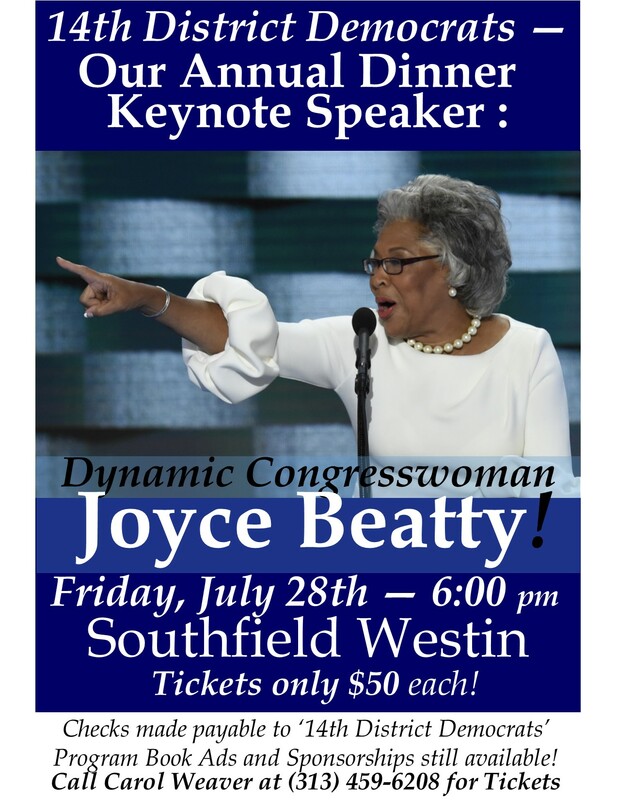 The dynamic Congresswoman Joyce Beatty will be our Keynote Speaker. 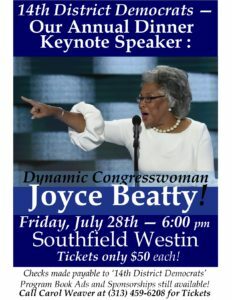 We are eager to see you at the Southfield Westin on Friday evening, July 28th at 6:00 p.m. Call Dinner Chair Carol Weaver at (313) 459-6208 for more information, including purchasing tickets! Previous Previous post: Next District Meeting: Saturday, August 19th in Oak Park. Next Next post: Municipal Primary Election Day is Tuesday, August 8th! Detroit Slate Cards Available.